After endless scandals for over 5 years, Fille and hubby MC Kats are on the verge of breaking up. 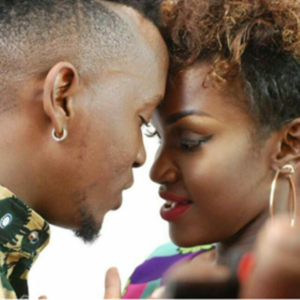 A close source to the couple revealed that they clashed over MC Kats’s second woman known as Shadia, who resides in Makindye. As it seems Fille has been handling her music business affairs alone for weeks now. MC Kats took advantage of Fille’s absence, and went with Shadia to Hoima during the Purple Party and this got into Fille’s ears which sparked off the fire between her and Kats. 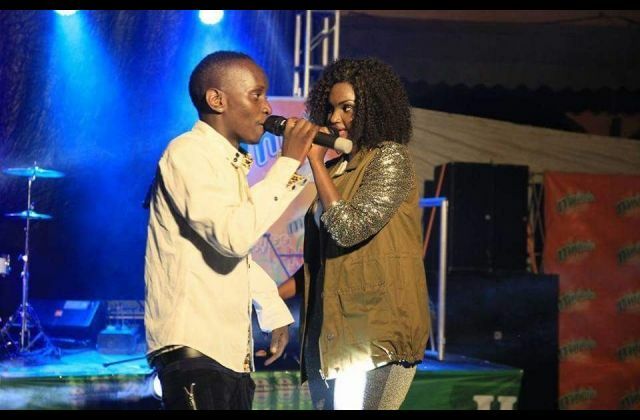 However, last year was Fille’s turn to cheat as Mc Kats believed that his spouse was in love with George Wildive, a Ugandan dance hall artiste based in London. This pissed off MC Kats to the extent of banning George’s music from airing on NBS TV. Our snoops have exclusively learnt that Kats and Fille have not been on good terms for about a month. However, the final nail in the coffin came when MC Kats took advantage of Fille’s absence, and went with Shadia to Hoima during the Purple Party. Fille, who was in Gulu for a show had planted spies in Hoima and she often received timely updates about Mc Kat’s movements. When the news of MC Kats having a good time with Shadia landed in Fille’s ears, she could not hold her anger. She made instant phone calls to MC Kats, but he ignored her. Furious Fille sent him messages threatening to teach him a lesson upon her return the next day. To make it worse, Mc Kats posted a photo with Shadia and her friends on his Instagram platform, bragging how Shadia makes him smile. He captioned the picture, “Fam, you made me smile. On this day, I had to make a final decision”. MC Kats, who also double as Fille’s manager later deleted Fille’s instagram account claiming he built it himself and has full rights over it. It is remembered that Shadia and Kat’s affair broke to the media about a year ago despite continued denial by Mc Kats. The two were spotted having a good time at Nyege Nyege in Jinja in August something that did not go well with Fille. MC Kats has been sleeping at Shadia’s apartment since his return from Hoima. Previous articleWhat gives The Game supermarket an edge over others?